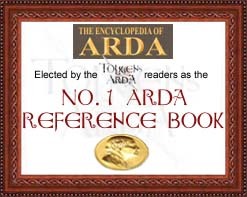 This page lists the awards the The Encyclopedia of Arda has gained. Thanks to all those who've chosen us for these awards - you can visit their sites by clicking the award images. Original content © copyright Mark Fisher 1997-2013. All rights reserved. For conditions of reuse, see the Site FAQ.